whatim looking for.. I am a practicing wiccan in a small town in massachusetts, work in the health care field, musician/artist, good natured, great sense of humor, and down to earth person that is looking for the same/simular. Mainly looking for a good person to be with. Wolf Goddess I am a fun loving and very funny person. I am caring and loyal. Looking for friendship and possible soul mate. Does wolfgoddess7 belong in this group? looking for other like minded people men and women.That are in the wiccan way .wont to learn more about lady goddess.yule..i figure i get on this chat site meet some people like me. make some new friends with like minded souls like me....bless be .. d.g. Does angelkitten123 belong in this group? Does hislilwiccan13 belong in this group? I am from Germany. 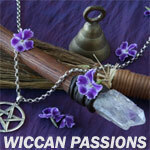 I am very intrested in Wicca and Pagan. I try to serch on this way the right Witch. One who look in my eyes and i see magic. Does santero belong in this group? Does alexis904 belong in this group? Wiccan faith. Being Wiccan is not something that I chose. It is something that found me when I was little and has help me learn and grow as a person. I have many abilities, talents and I am always trying to embrace more from those around me. Does moontitan367 belong in this group?